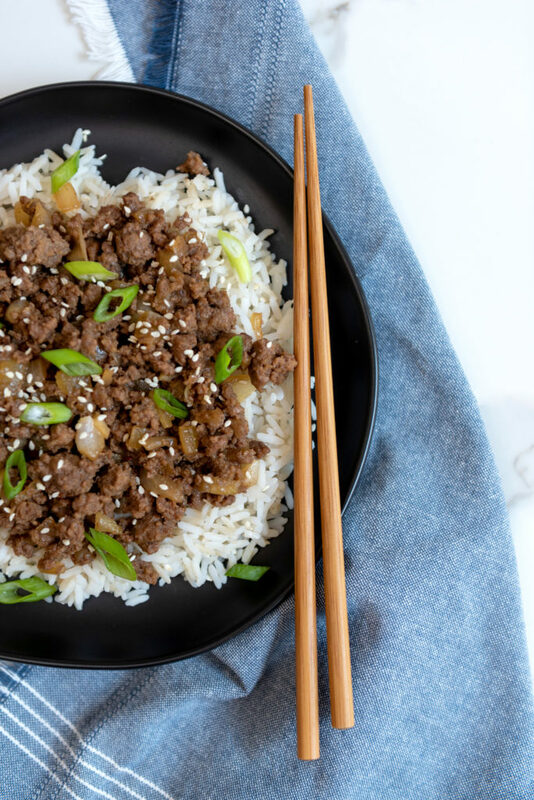 In a large skillet over medium heat, cook the ground beef, onion, garlic and ginger until the beef is cooked through and crumbles easily. Add the maple syrup, coconut aminos, sesame oil, red pepper flakes, and salt and simmer for 3-5 more minutes or until the sauce is well combined. Serve over hot rice and top with green onion and sesame seeds and enjoy!